You should seek professional mold removal services if you have a significant amount of mold growth in your home or business in Atlanta, Georgia. When the right conditions exist for mold to grow, the problem can seemingly spread “overnight,” increasing the potential health risk and damage to your property. 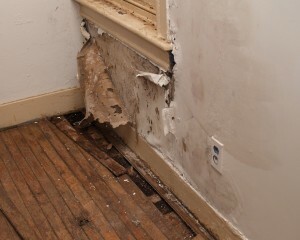 Also, if you try to perform the mold removal yourself, you can end up making the problem worse. When disturbed, mold spores can travel through the air into other sections of your home or business in Atlanta, GA, causing mold colonies to grow there as well. For this reason, mold remediation professionals use plastic containment barriers to isolate large incidences of mold growth. They also use many other types of mold removal equipment and techniques that you will not have at your disposal if you try to treat the mold yourself. If you want to put an end to your mold problem, contact Abatement Solutions, Inc. today. As a full-service mold removal contractor, we’ll identify the full extent of the problem, remediate the mold, and prevent it from returning. After we’ve treated an area in your home or business that people occupy, we’ll have a third-party inspector test air samples to confirm that we’ve made the air quality safe for inhabitants. We proudly serve realtors, residential and commercial property owners, management companies, and builders throughout Atlanta, GA. We look forward to discussing how we can meet your needs.